Mike Mathiot wasn't especially fast. But he did swipe eight bases for single-A Kenosha in 1989. It a game that August, though, it was Mathiot called upon to pinch-hit and possibly score the winning run, according to The Madison Capital Times. That's what Mathiot did. Starting from second, Mathiot came in on a single to score the walk-off game winner, The Capital Times wrote. Mathiot scored that game winner in his third season as a pro. He got into just one more pro season. 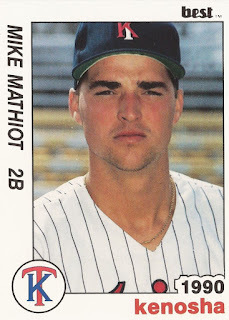 Mathiot's career began in 1987, taken by the Twins in the fourth round of the draft out of Springfield High School in Illinois. At Springfield, Mathiot knocked in two runs on a hit in the June 1985 state finals. He also scored a run. Helping Mathiot get the notice of scouts was Springfield native John Schaive, according to an Illinois General Assembly resolution. 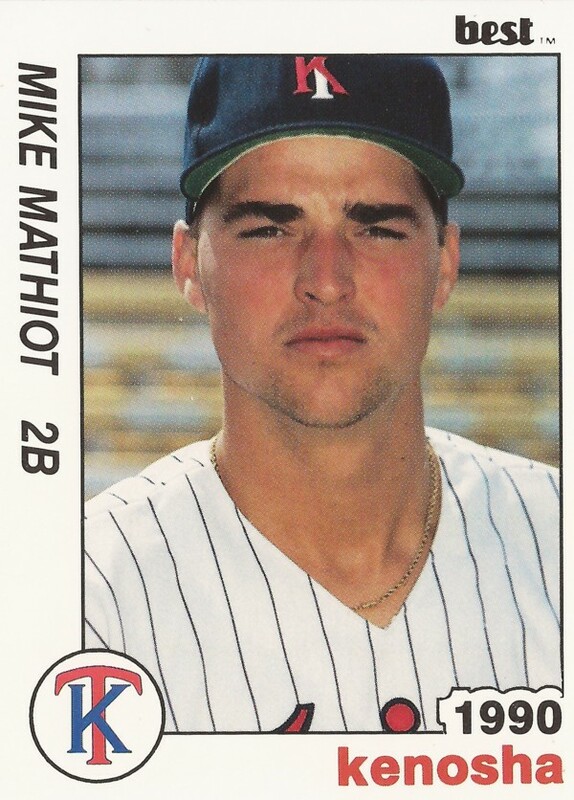 With the Twins, Mathiot started in 1987 with rookie Elizabethton. In 26 games, he hit .188. He returned to Elizabethton for 1988, improving his average to .278 over 41 games. He also stole 10 bases. For 1989, Mathiot moved to single-A Kenosha. He hit just .143 in 45 games, swiping eight bases. He returned to Kenosha for 1990. In another 48 games that year, his average ended at .184. He didn't return for another campaign.